Why Choose a Tax Professional? | Sheltra Tax & Accounting, LLC. You’re a smart person when it comes to your money. You stay within your budget, you plan for the future, you have an emergency fund for that day when your hot water heater leaves you cold. So why would you pay someone file your tax return? The top reason according to CPA Practice Advisor is that you can save money. If your tax preparer finds anything that you or your prepackaged software missed, it can more than recoup your outlay. That may tip the scales right there. But there are other reasons. For one thing, it saves you time. 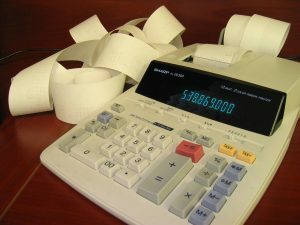 Unless your return is extremely simple or unless you are one of those people who enjoy going through the 70,000 pages of the U.S. tax code, there is a comfort in turning your numbers over to someone who’s used to dealing with them. Like changing your own oil or repairing your own plumbing, sometimes it’s more convenient and more effective to let a professional do the work. You may like the simplicity that tax software brings. Those preparation programs are very good and less expensive than using a service. But they don’t necessarily ask all the questions that could lead to money-saving deductions for you. Plus, there are limits to software understanding. Put your hand up if you’ve never been embarrassed by a spellcheck error, for example. Whether you do it yourself or use the software, mistakes are expensive. The IRS can impose late payment penalties for a mistake, negligence or fraud penalties, add interest on money you owe. you’ve married, divorced, lost a spouse or adopted a child. begun caring for aging parents, inherited money, bought a house, or lived or worked in at least two states. you’ve started your own business or you’ve joined the global economy and have business assets, investments or income from outside the U.S.
you’ve won the lottery, or any other substantial prize. If you plan to itemize your deductions, a pro can definitely help. The tax laws change constantly and deductions can appear and disappear. Enrolled agents, who are licensed by the IRS, are required to pass a test and to participate in continuing education. They can help you make the most of those items. Then there’s the planning aspect. A tax preparer can help you plan for your long-term future. And she can walk you through the process to help you save on the following year’s taxes. You should definitely hire a professional if you make a lot of money. You will want to maximize your deductions and minimize the risk of an audit note from the IRS. Finally, always check out the tax preparer before you entrust your return to her. Experience always beats price. This entry was posted in Blog, Taxes and tagged taxes on September 2, 2016 by Diana Sheltra.